An amazing way to open the festival! This exclusive hotel, not normally open to the public, located right opposite Harbour Island is a truly special spot. With boats running from Government Dock every 15mins to the hotel and resort from 2:45-330pm for arrivals and from 6:15-7:30pm for departures. The Other Side is a beautiful solar powered which rustic “Glamping” Site situated on a long secluded beach, populated only by swaying palms, our tents, shacks and salad garden. The property provides privacy and seclusion, but also proximity to the quaint town of Harbour Island and to the vast beautiful expanse of Eleuthera. This is a very special afternoon, not to be missed. Inspirational music from the classic jazz repertoire. 5:15.6pm. Donations graciously received. A night of live jazz music in the harbour at 1648 An Island Restaurant – French Leave Resort in Governor’s Harbour from 7.30pm. Cover charge $20 in aid of the Haynes Library. To celebrate Jazz in the Harbour, our restaurant will be closed to the public and we welcome our Jazz Guests to join us for a special, poolside dining event overlooking the Caribbean. Enjoy six unique buffet stations featuring several of our 1648 Chefs and a conch salad station – $45 per person (+ tax & gratuity). Table Reservations for dinner strongly recommended. Cocktails available for purchase. Cash and credit cards accepted. A musical jam session at the Fish Fry, Anchor Bay, Governor’s Harbour from 7:15pm – 9:15pm. Free for everyone to come and listen to some of the Eleuthera…All That Jazz artists and other musicians preforming an open jam session. Food and drinks will be available to purchase from the Fish Fry. Cash only. A very special day for those wanting to learn more about music and discover various different instruments and their stunning beauty. 7:!5 – 9:45pm Concert begins. This beautiful private house was originally the home of Juan Tripp. With stunning views across the Atlantic and along the coast, from its high vantage point, this Sunday Lunch Concert is an event not to miss. 11:30-3:30pm Sunday lunch jazz concert on the beach – $160 advance purchase / $175 on the door. All inclusive of wine Sponsored by Youngs Fine Wines and lunch. 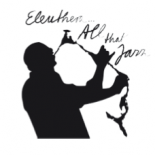 Check our FB page and website www.eleutheraallthatjazz.com for updates. This entry was posted on November 24, 2018 by eleutheraallthatjazz in Uncategorized.